-You will by no means enter the kingdom of heaven unless your righteousness exceeds that of the scribes and Phariees. Will you guys be going over the latter part of the sermon on the mount? By that I mean when Jesus mentions the 'golden rule' and good trees bearing good fruit, wolves in sheeps clothing, etc..? I would be curious to see which way the conversation would go when discussing those things. Usually for me, when I'm discussing Scripture with someone else, the wheels start turning in my spirit and I begin to get revelation. Just a thought. Matthew... we'll have to talk that over. We've got two programs recorded on this already (this week and next week), and we hadn't really planned on spending as much time on the sermon on the mount as we ended up doing. LOL. I think many of the words of Jesus in the sermon on the mount do have applicable content, and it would be interesting to talk through some of that stuff. The main thing I get out of all this is that we need to be careful to 'rightly divide' or understand which of Jesus' words are applicable as New Covenant truth, and "how" it's applicable in that sense. Yeah, I know what you're saying. I just wanted to suggest that. That may be something better for a bible study and not a podcast. I think I would want to have a point to make when I did a recording so I don't blame you lol. This is a great explanation of the Sermon on the Mount! Thank you, Joel & Kap. You guys are awesome. Thanks a lot, Steve... Kap and I really appreciate your encouragement! I haven't listened to this one yet but it sure sounds like a good one. I just downloaded it. You did good, little brother. You definitely didn't disappoint. It was a great podcast! I had already understood that much of what Jesus said was for people under the law but I never thought about the fact that the Sermon on the Mount was really Jesus giving a fuller explanation of the law. That will definitely make me look at the Sermon on the Mount differently. Thanks for this podcast. I can't wait for part 2. I recently got challenged at a small home meeting by someone regarding the meaning of "turning the other cheek". On checking the context, I said almost exactly what you said, that it in no way applied to us. 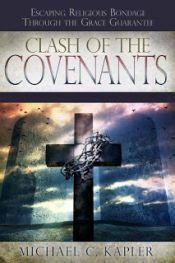 That Jesus was clearly illustrating how impossible was the task of truly keeping the Old Covenant Law, and that we would have to exceed the efforts of the Pharisees. Jesus was an Old Covenant Prophet amongst an Old Covenant people! He gave them the Law. The New Covenant didn't start until Matt 26v28. I believe that this makes the four Gospels OLD TESTAMENT BOOKS FOR AN OLD TESTAMENT PEOPLE UNTIL THAT POINT! Jesus's reply to the rich young ruler illustrates the same point, if its good deeds you're looking for young man, I'll give you one you can't do! Having been a lone voice in my area of the UK on much of the stuff on this blog, I now go away greatly encouraged and strengthened, being able to refer others for further proof that its not heresy to think these thoughts. I shall give this site to all my friends. God bless you and keep going astray! Hey, that's great, Frank! I know what it's like to be a lone voice... have been there quite a lot in my lifetime. :) It's truly great to find others to connect with who are on the same page. We need to encourage one another in this! In one of our upcoming programs we bring up the rich young ruler, as well as the "certain lawyer," who both asked Jesus similar questions and sought to justify themselves by their works. It's sad how the point of these stories are missed - and that's why we need to keep on saying it! OLD TESTAMENT PROPHET? Really? Is that why Jesus said in this Sermon on the Mount tha tthe law would abide until heaven and earth passed away? Wasn't HE trying to tell people the Law was made for man not man for the Law? Wasn't HE telling them that with their strict obediance to the Law they needed some human compassion. Wasn't HE advising all of us that the Law and Love are the two arms of GOD. If you cut one off your GOD has become a god.